The authors of the study evaluated the internal and external rotation range of motion of the hips of 201 professional baseball players in an attempt to correlate range of motion with risk of injury to the hamstrings, abdominals, and hips. The players were sorted by age and position in anticipation of different findings by position. The researchers then measured both the internal and external rotation of each player in supine and recorded the results. Pitchers and catchers demonstrated the lowest values of both hip internal rotation and total range of motion of the hip. In general, pitchers exhibited greater range of motion of internal rotation, which the authors of the study hypothesized was due to the fact that the majority of players throw right handed, and the right leg is the trail leg in the delivery of a pitch. As previously stated, catchers were also found to have reduced hip internal rotation and total range of motion, which the authors attributed to the prolonged deep squat required to play this position. Position players on average demonstrated the greatest amount of internal rotation and total range of motion likely due to their need to sprint most frequently. Both internal and total rotation were associated with the previously specified injuries, and surprisingly, younger age of the athlete was actually associated with higher incidence of injury. Another surprising finding was that position players were more likely sustain an injury of the hip, hamstrings, or abdominals over the course of the season. This could possibly be due to the sheer volume of position players versus pitchers and catchers. I chose to review this article because of my interest in baseball and my desire to work with athletes. The information presented in this study may be helpful in clinical practice because it suggests the risk of hip, hamstring, and groin injuries in baseball players can be reduced and preventative measures can be taken. Additionally, it provides biomechanical information that would be helpful in designing a treatment regimen to help improve performance in the athletic population; specifically, baseball players. It follows logic that reduced range of motion at the hip or asymmetry from limb to limb may lead to injury, but one thing this study was not able to do was outline the mechanism of injury for each player. If there were groin, hip, and hamstring injuries experienced by the subjects of this study, it is likely that one would be able to draw conclusions based on the injury and the requirements of playing specific positions. For example, hamstring injuries are common among athletes participating in sports which require a significant amount of running; especially in the latter half of the game or late in the season. In baseball, outfielders run far more than any other position player, so it would be likely that the three outfield positions represented the greatest number of hamstring injuries in this study, but this is unable to be determined because the position players are all grouped together. Conversely, pitchers rarely have to run over the course of a game, but have to repetitively generate extremely high torques to deliver a pitch, specifically at the hip and shoulder. A pitching motion consists of a single leg stance phase, then transitions into rapid rotation and push off with the trail leg, placing a tremendous amount of torque on and compression of the acetabular labrum. 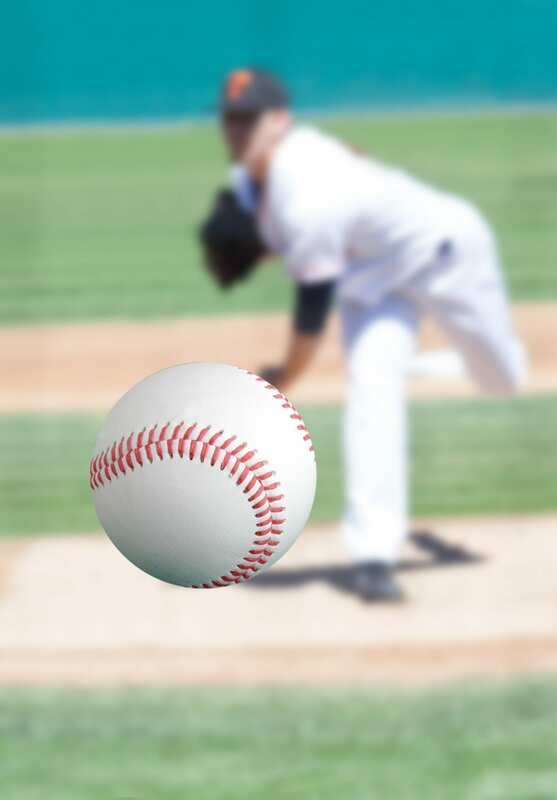 Each pitch thrown could result in microtrauma to the acetabular labrum, eventually resulting in a tear after thousands of repetitions over the course of a season. Future studies in this area should document specific injuries and correlate each to the position of the player injured to provide insight into which structures are most vulnerable to injury. There are many tools already in existence which help to screen athletes for risk of injury, but measuring hip internal rotation, external rotation, and total arc of motion may be a simpler, more effective tool to predict lower extremity injury than something such as the Functional Movement Screen. A study conducted by Dossa et. al involving the use of the Functional Movement Screen with hockey players found no significant difference between one group which had high scores on the FMS and another which had low scores (2014). In addition, measuring range of motion of the hip with a standard goniometer is a free method of assessment versus others which require a therapist to attend a seated course which costs a substantial amount of money and detracts from their time providing patient care. As previously stated, however, this would only identify players at risk of any number of lower extremity injuries, so it may not provide the clinician with specific enough information as to which muscle groups are functioning deficiently, so clinical judgement would be vital. In evaluating the kinematics of baseball players, the shoulder is often thought of as the most important articulation in the body. However, as the authors of the study suggested, the mechanics of both throwing a ball and swinging a bat are bottom-up movements; meaning that extremely high amounts of torque are generated through contact with the ground and translated up the biomechanical chain ultimately through the shoulder to the elbow and finally, the hand (Li et. al, 2015). It is interesting that the authors suggested great similarities in the shoulder and hip; hopefully in the near future literature is published which confirms or refutes the idea that GIRD can also occur in the hip. Future publications which use radiological assessment would be essential to furthering our understanding of the structural adaptations occurring at the hip to allow for comparison to the shoulder. Dossa, K., Cashman, G., Howitt, S., West, B., & Murray, N. (2014). Can injury in major junior hockey players be predicted by a pre-season functional movement screen – a prospective cohort study. Journal Of The Canadian Chiropractic Association, 58(4), 421-427.